Hiwot Adilow . . . we were blessed with the company of Hiwot Adilow, one of the very first MC Lyte UW Madison First Wave $100,000 Scholarship Winners, as she interned at the Hip Hop Sisters corporate offices in Los Angeles this summer. 1. Featured in MC Lyte's upcoming episode of "Being" on Centric/BET Networks. 2. Witnessed, in-studio, Common and MC Lyte's new collab (can't tell you yet! . . . it's coming in a few weeks). 3. 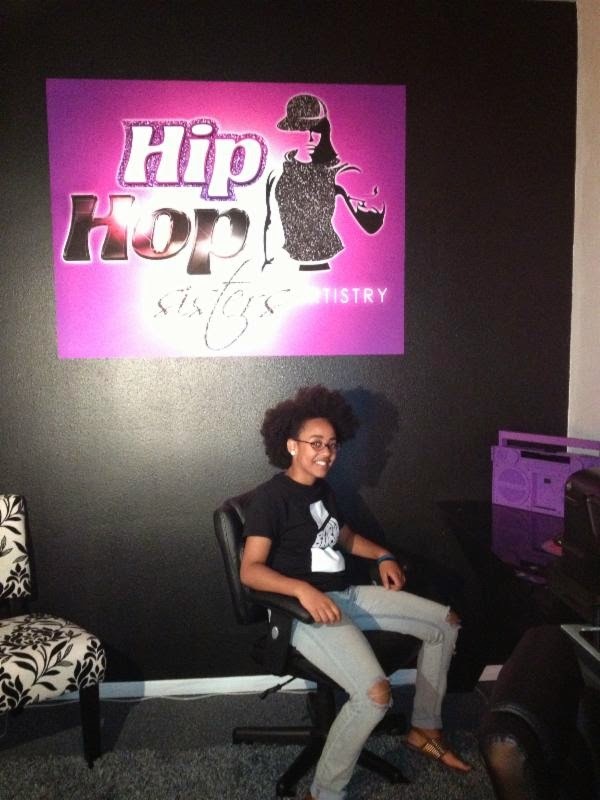 Traveled with Lil Mama's production team to the World Hip Hop International Championships in Las Vegas. 4. Met the godfather hiphop, yes Russell Simmons, while spending time reviewing scripts and assisting the executive team at All Def Digital. 5. Implemented a volunteer program and other initiatives along with the Director of Foundation Programs. It was an absolute pleasure working with Hiwot this summer. Get Your $$ Right Tonight! Women, Wealth and Relationships is the signature economic empowerment initiative of Hip Hop Sisters Foundation. We've worked with Kim Kimble, Nicci Gilbert, Lil Mama, Brittish Williams, Jacque Reid, Sheree Fletcher, Charli Baltimore, Alesha Renee, Dr. Farrah Gray, Mother Love, Dr. Benjamin Chavis, and many more to help create financial independence with real life and down to earth tips. Join the movement tonight and get your finances right with our President / CEO Lynn Richardson. Check out the video that won Hiwot a place in our hearts and in history!